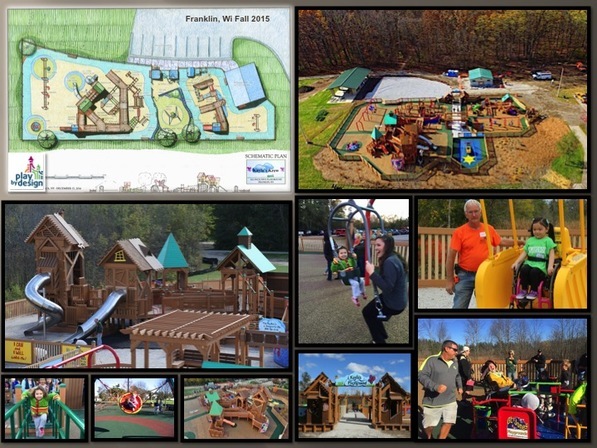 Help us bring an all accessible/all inclusive community built playground to New Berlin!What is a Community Built Playground? 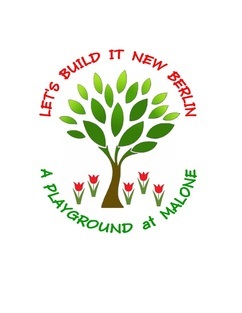 This playground at Malone Park is our most magnificent endeavor yet. 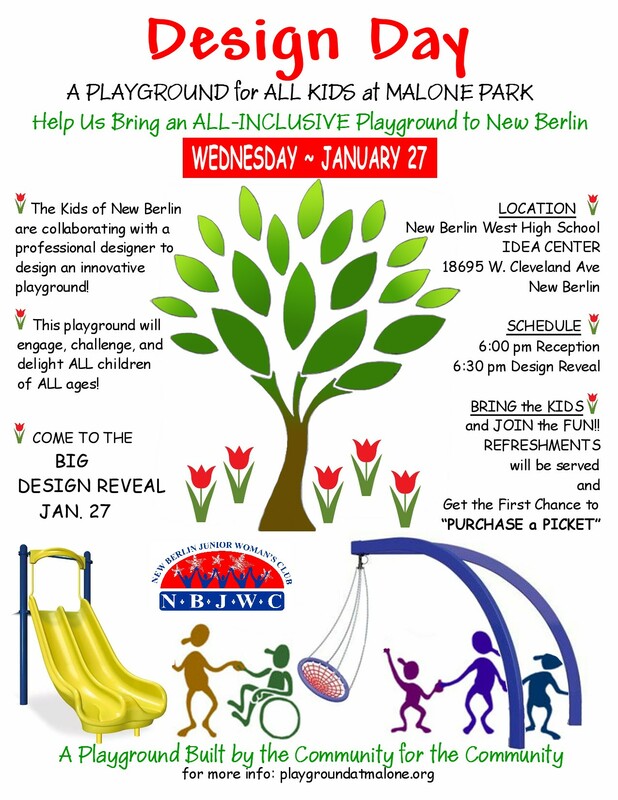 Design Day is set for January 27th with elementary students of New Berlin schools. 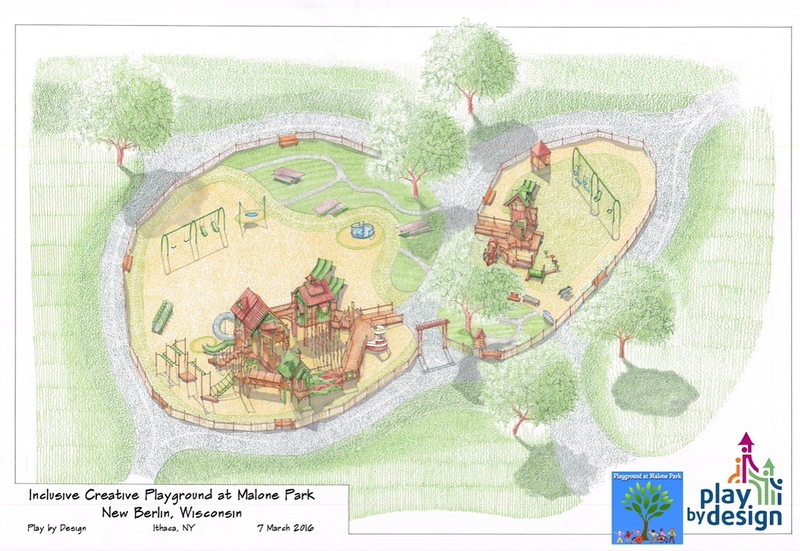 In the morning, students will take part in interviews and drawing pictures of their dream playground. Next the volunteers present the ideas to the designer who will in turn design the playground and present to the community at the evening reception. Build Week is set for May 16th - 22nd. Hundreds of volunteers will be needed. Look for a Signup Genius soon. Grand Opening will be early July just in time for the New Berlin Festival.